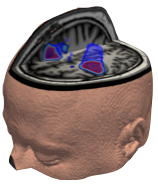 DeepMedic is our software for brain lesion segmentation based on a multi-scale 3D Deep Convolutional Neural Network coupled with a 3D fully connected Conditional Random Field. The system has been shown to yield excellent performance (winner of the ISLES 2015 competition) on challenging lesion segmentation tasks, including traumatic brain injuries, brain tumors, and ischemic stroke lesions. Yes! The software has been released open source on Github. In our open access article in Medical Image Analysis.